When we refer to depression, we think of particular symptoms under particular circumstances. However, depression can take various forms, and although there may be similarities among them, each type has its own specific symptoms. These are discussed below. This is the most common form of depression. It is diagnosed if someone feels depressed most of the time, for most days of the week, for at least two weeks. Other symptoms include loss of interest or pleasure in activities, loss or gain in weight or appetite, disruption in sleep cycle, fatigue, and difficulty concentrating or making decisions. The person may also feel worthless, guilty, restless or sluggish physically or mentally, and have thoughts of ending their life. Such moods affect most aspects of a person’s life, including work and relationships. Although the lack of motivation can make it difficult, symptoms can be managed with regular psychotherapy and antidepressants. If depression lasts for more than two years, it is known as persistent depressive disorder. It is characterised by persistent milder symptoms of a major depressive episode. In this disorder, the symptoms do not go away for more than two months at a time. Even with this diagnosis, it is possible to experience episodes of major depression, known as double depression. Persistent depressive disorder is best treated with a combination of antidepressants and therapy. Depression can also accompany other disorders. It is a part of bipolar disorder, which was previously known as ‘manic depression’. In this disorder, a person will experience intense mood swings from mania with elevated mood and energy, to depression. In the low phase, the symptoms of major depressive disorder are present, and the criteria for the same are met. Bipolar disorder is treated with mood stabilisers and therapy. People experiencing psychotic symptoms, that is perceiving things when they are not there or holding false beliefs, may also experience symptoms of depression. This is often treated with a combination of antipsychotic and antidepressant medication. In this type of depression, a person experiences depressive symptoms only during a certain time of the year, most often during winter months when the days are short and there is less sunlight. The symptoms tend to disappear in spring and summer. 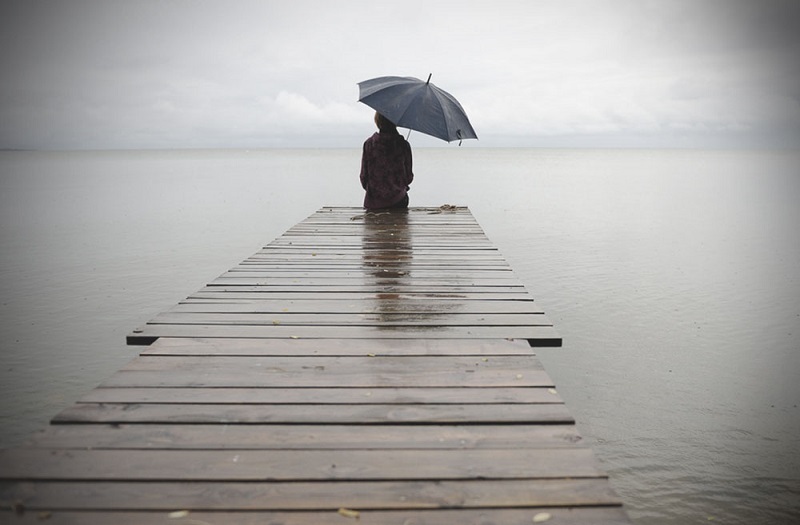 With seasonal affective disorder, antidepressants and light therapy can help. Since hormones also have an impact on your mood, rapid changes in a woman’s hormones during pregnancy and after childbirth can also result in a depressive episode. It is likely that these women will experience it again during their next pregnancy. Antidepressants are effective for this type of depression. Women may feel depressed, irritable, anxious and overwhelmed around the beginning of their period every month. They may also experience mood swings, tiredness, a change in their eating and sleeping routine, and have difficulty concentrating. This is typically because of changes in hormones, and can be treated with antidepressants or contraceptives. Depression can also develop when one is unable to cope with a stressful life event like death, or loss of a job or relationship. It can even develop if one is facing difficulty in adjusting to seemingly positive events such as marriage or childbirth. Situational depression requires additional support during this period of change, and therapy here is time-limited and solution-focused. Atypical depression is a specific pattern of depressive symptoms, and can occur with any type of depression. This includes an increase in appetite and sleep, as well as a feeling of heaviness in arms and legs. Atypical depression also involves oversensitivity to criticism and a temporarily improved mood as a result of a positive event. While knowing about the various types of depression can help you have an idea of what you may be going through, it is best to visit a mental health professional, such as a psychologist or a psychiatrist, for a complete assessment. This will not only ensure an accurate diagnosis for you, but also timely and adequate management of symptoms.